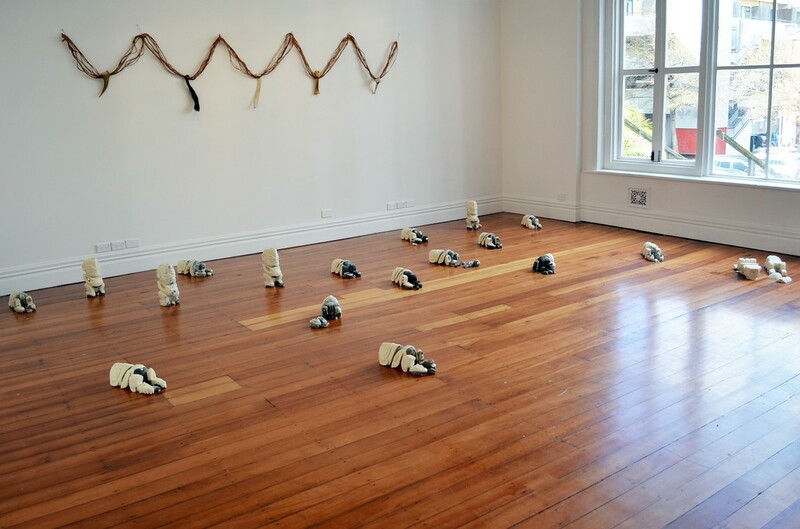 Ebbing Tagaloa features a series of Tagaloa (Polynesian god of the ocean) figures that reference the nineteen beaches and bays of Wellington by Paula Schaafhausen. 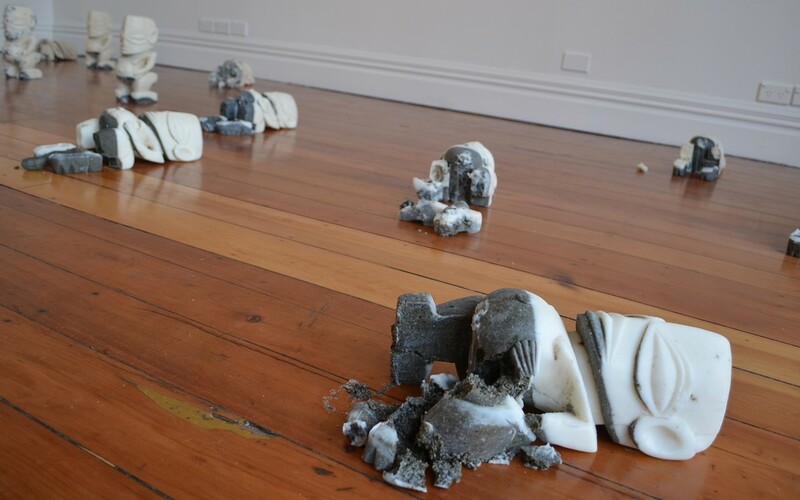 Moulded from coconut oil and sand, the figures will melt and harden with fluctuations in room temperature throughout the exhibition. 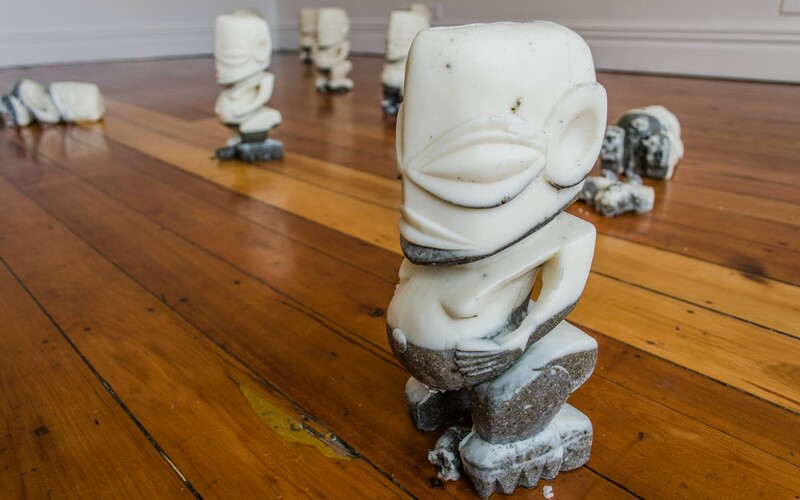 The installation speaks to issues faced by low lying cities across Oceania, including Wellington. Linking us to our Pacific neighbours, Ebbing Tagaloa richly layers the implications of our warming planet with the impacts of cultural change. Ebbing Tagaloa presents a fragrant and continually evolving space for reflection. 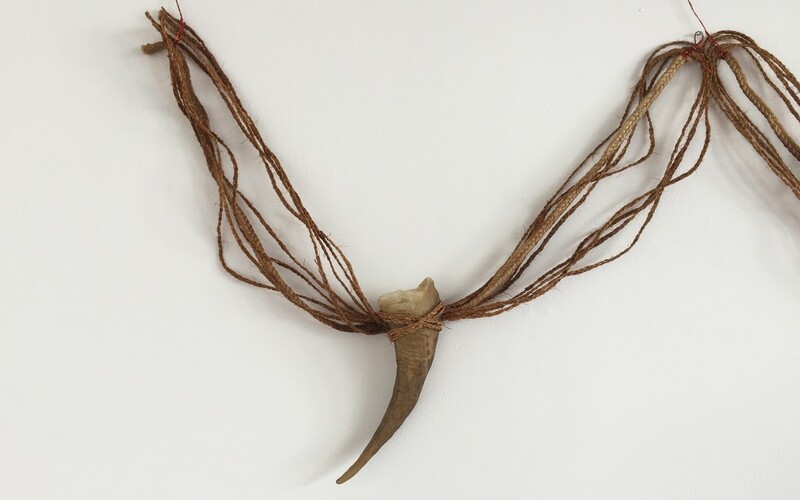 Suzanne Tamaki creates body adornment utilising organic, found and recycled materials. She is inspired by indigenous jewellery and costuming throughout the Pacific and has won a number of awards. 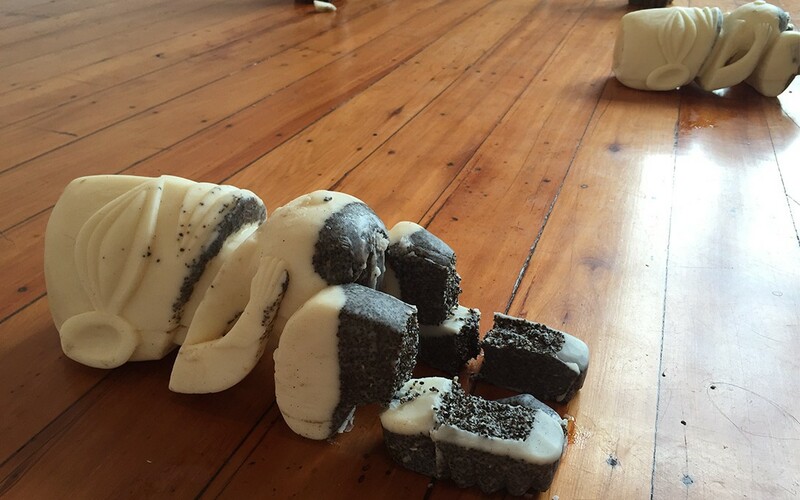 Suzanne Tamaki, Tributes to Tangaroa, 2014. Image courtesy of Meredith Crowe. 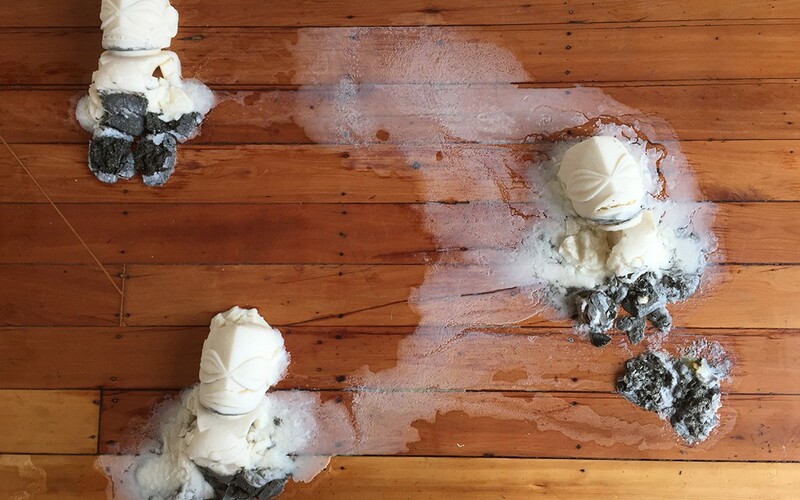 Paula Schaafhausen, Ebbing Tagaloa, 2014. Image courtesy of Oscar Perry. 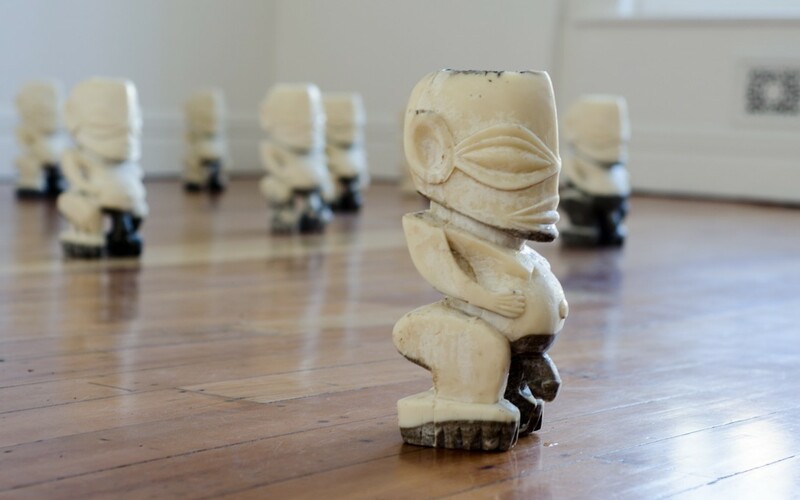 Paula Schaafhausen, Ebbing Tagaloa, 2014. Image courtesy of Meredith Crowe.